DF-A0052 is a solid-state three-band, five to three-channel commutating DF switch with amplification and ESD protection, controlled by RS-485 commands. The switch accepts three frequency bands, each with 5 antenna elements. Full frequency range is 1-3600 MHz. Switches route any three elements of a selected band of five elements (each equipped with input power limiters, ESD protection and low noise amplifier) to any of the three outputs. 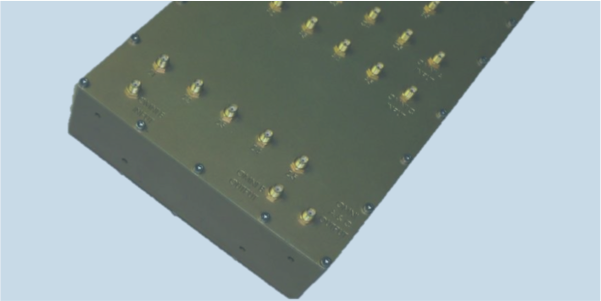 DF-A0052 can be mounted within the weatherproof electronics cavity of the DF-A0029, DF-A0031 and DF-A0037 direction finding antennas.